There is no better way to take in all of Milly’s beauty than by taking to the city with a bicycle. The first thing you’ll want to do is find a place where you can relax and take a breath. 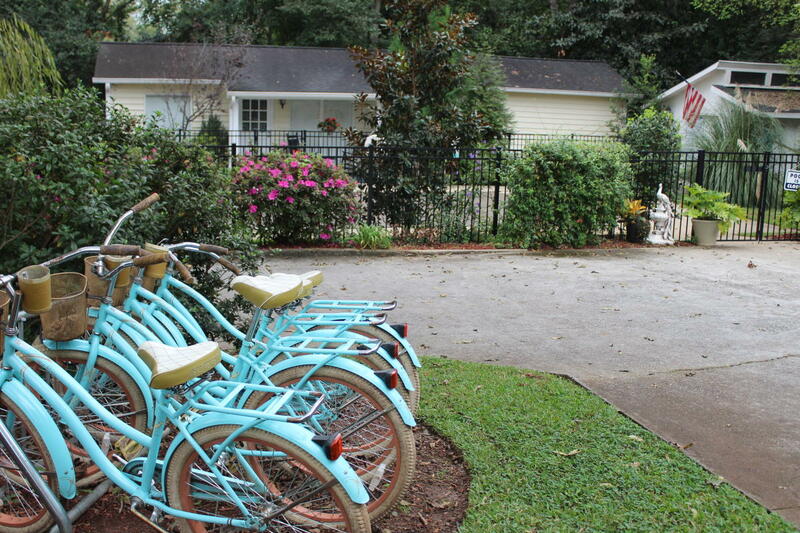 We recommend the bike-friendly, quaint bed & breakfast, The Antebellum Inn which has complimentary bikes you can use, plus a bike rack for when you come back to relax. Once you’ve found a place to call home for a night or two, it’s time to explore! Get going with best part of any adventure: food! Head downtown (just a couple blocks south) for multiple options to fuel up your belly. 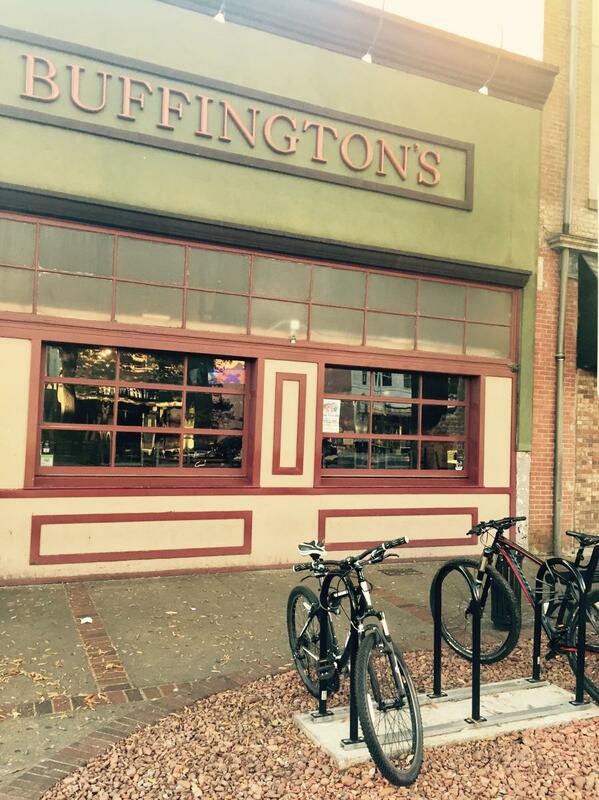 We recommend storing your bike at the rack right in front of Buffington’s and heading inside for a unique Milly meal. Feeling in the mood for a little something extra on your burger? This one is for you! Piled high on top of an Angus beef patty sits crispy bacon, cheddar cheese and the real kicker, a fried egg. Try it with one of their infamous chowders, like the daily special turned permanent fixture, Bob Marley Soup. Now you have the rest of the afternoon wide open for more exploration. Next up, you will want to explore some more of the historic sites in town. Start with Georgia College, whose beautiful campus is perfect to ride through on your bike! The beautiful campus is right in the center of the historic district and has tons of history of its own. Be sure to cycle the streets around the campus for a look at the historic homes, Liberty Street is our favorite! If you’re here for a second day, start it off with a ride downtown and lock up right in front of the Local Yolkal for a big breakfast. With a full brunch menu, Local Yolkal is like no other. The chosen dish is the French Toast plate with a choice of grits, hash browns, bacon, or sausage. “The French toast is made from scratch here with Texas Toast. It is so good, and we also have bottomless mimosas to go with it every day of the week.” Once your belly is full, bike on over to the Old Governor’s Mansion and take a tour! When you’re taking on Milly with a bike, you cannot pass up a visit to the Oconee River Greenway. Here is where you can relax and enjoy the natural beauty of the outdoors in Milly. 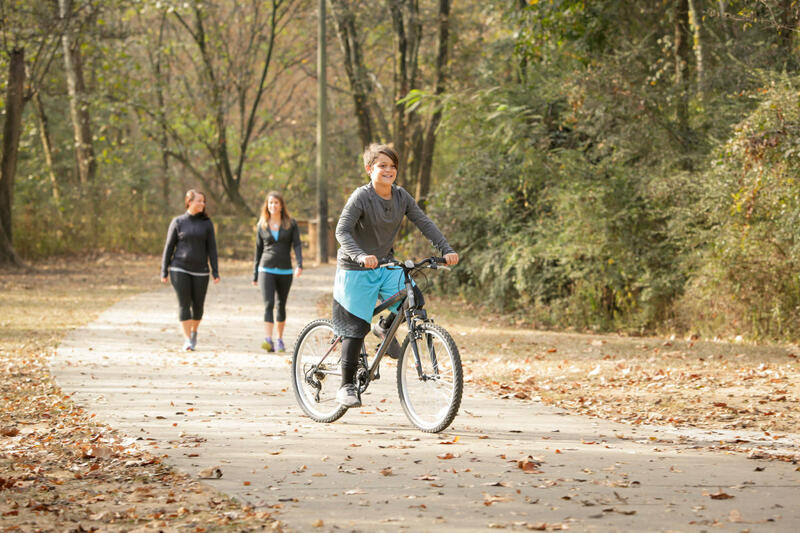 At the Greenway, there are trails and paths for walking, jogging, and biking and the best part is that it is right next to the Oconee River. You can spend hours here biking the trails or relaxing by the river. If you run into any trouble during your exploration, there is a bike repair station behind the Welcome Center or stop into Oconee Outfitters. If your bike has a flat tire or needs any other kind of repair, they are the ones to fix it. 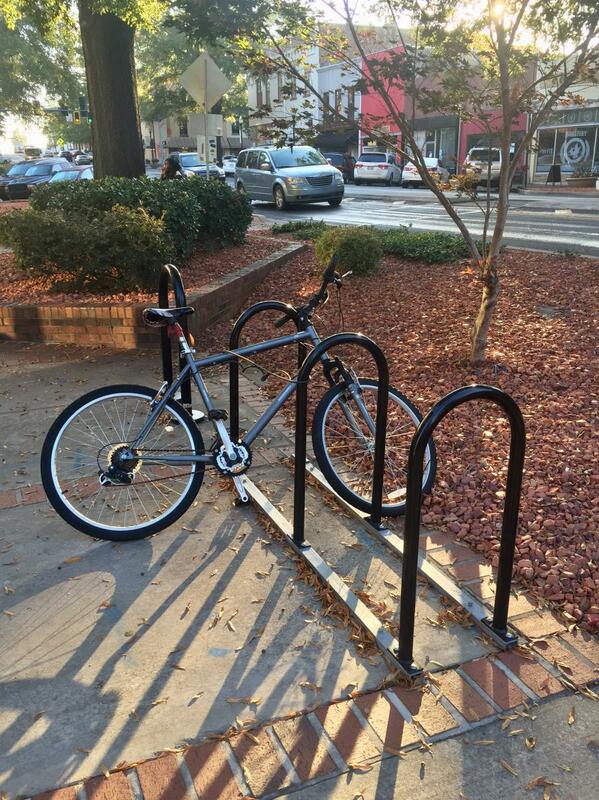 They will even rent you out a bike if that’s what you need. 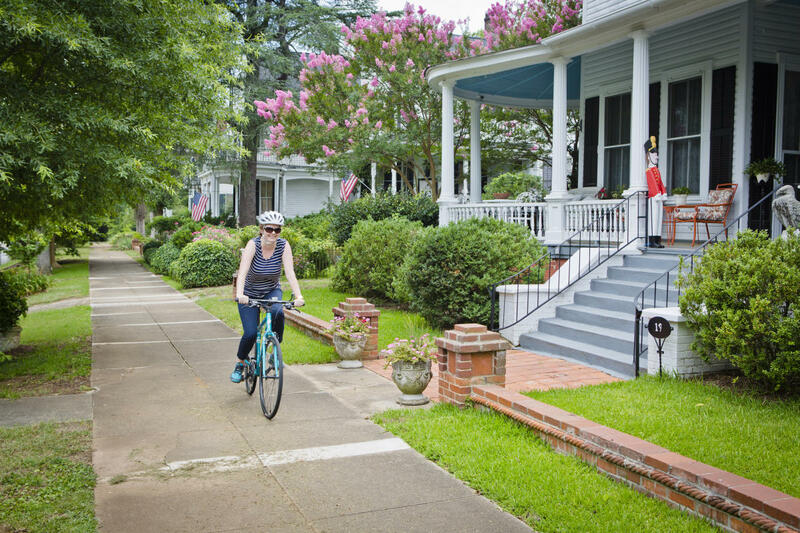 A bike exploration through Milly is the perfect way to take in the wonderful community here. If you are wanting more, Georgia&apos;s Antebellum Trail offers a 170-mile ride through seven Georgia cities that wonderfully showcases the state’s rich history. 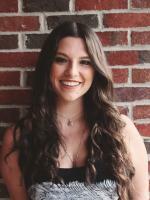 Along the way, you can pass through each community and experience its distinct feel, all while taking in the Old South’s vibrant history.